Deforestation is a growing and serious problem, and for Mondelēz International, it makes up the largest part of our carbon footprint. We are committed to addressing this global phenomenon, focusing on areas where we can make the biggest difference, like palm oil and in our cocoa-growing communities. When it comes to cocoa, our emphasis of late has been on Ghana. Ghana supplies about 20% of the world’s cocoa, and it has one of the highest deforestation rates in Africa, at 3.2% per annum. * The situation demands attention and it’s one of the reasons we signed a Memorandum of Understanding with the local government and United Nations Development Programme (UNDP). Cocoa farmers feel stuck in a vicious cycle. Deforestation has led to carbon emissions, resulting in reduced rainfall and severe conditions like droughts. Farmers aren’t able to grow as much cocoa and they feel forced to expand into new forests to earn income and also meet the demand of cocoa. Unfortunately, the cycle continues all over again and it’s impacting not just their livelihoods but also their communities. 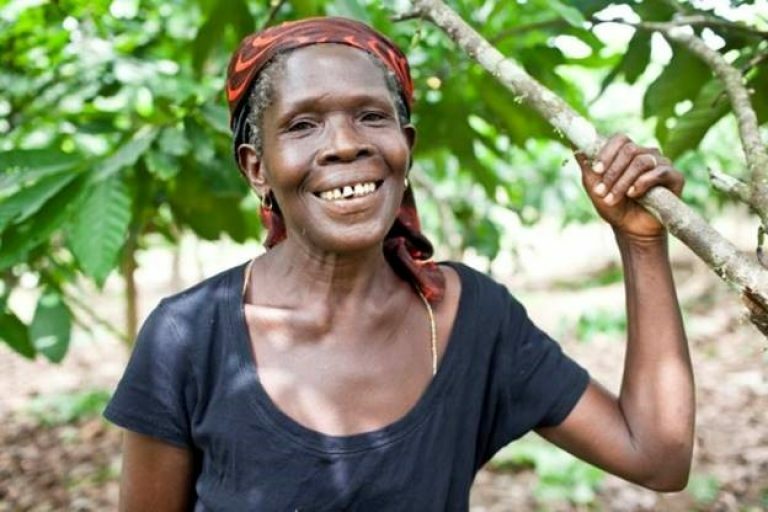 The key to securing the future of cocoa and helping these farmers is partnership. As the Global Operations Manager for our sustainable cocoa sourcing program, Cocoa Life, I’ve found when both public and private sectors work in tandem to protect forests, we see change happen. It’s how Cocoa Life got its start. Established in 2012, Mondelēz International created Cocoa Life to nurture thriving cocoa communities and create an essential foundation for sustainable cocoa. Through our program, which is independently verified by third-party organizations, we strategically work with governments, industry, suppliers, NGOs and – most importantly – farmers on the ground. They each bring much-needed expertise. For instance, government has the access and power to affect change, NGOs have the expertise and infrastructure to implement, and corporations are driven by a commitment to be part of the solution. We also see this in the Cocoa & Forest Initiative, a cooperative, multi-stakeholder framework to address deforestation and forest degradation in the cocoa supply chain. This was established in 2017 by Mondelēz International and 11 other cocoa and chocolate companies, as well as governments. Together, we will create a joint action plan to fight deforestation in Ghana and Côte d’Ivoire. Cross-sectoral partnerships, like our recent memorandum in Ghana, remind us how important it is to involve every player in the conversation. The Forestry Commission of Ghana and Ghana Cocoa Board, both government institutions, will oversee implementation and ensure climate smart cocoa production. UNDP will share technical expertise and facilitate communications across all partners. And through Cocoa Life, Mondelēz International will contribute $5 million over five years and lead projects on the ground. Trust and transparency: All partners must establish clear, regular channels of communication to ensure KPIs are being met and there is ongoing progress. Like any relationship, dialogue must be open, transparent and based on trust. Local knowledge: Securing partners with on-the-ground understanding of the needs and challenges is crucial to establishing beneficial and effective programs. To get this knowledge firsthand, the Cocoa Life teams are based in the cocoa origins and regularly shadow farmers and their communities. Communicating with and learning directly from cocoa farmers help us improve Cocoa Life to better meet their needs. Accountability: Partners keep one another accountable. Government and NGO partners hold private sector corporations to their commitments. And corporate involvement helps hold government and NGOs responsible for implementation. Working with a range of partners to help our farmers grow more cocoa on less land helps secure their livelihoods while fighting deforestation. We hope that through Cocoa Life’s ongoing commitment and leadership, we will inspire action at scale and more partnership between governments, NGOs, industry, farmers and community members to join the fight and help cocoa farmers become more resilient to climate change. 2015: Cocoa Life commits to lead private sector action as part of Côte d’Ivoire’s national REDD+ program to combat deforestation. 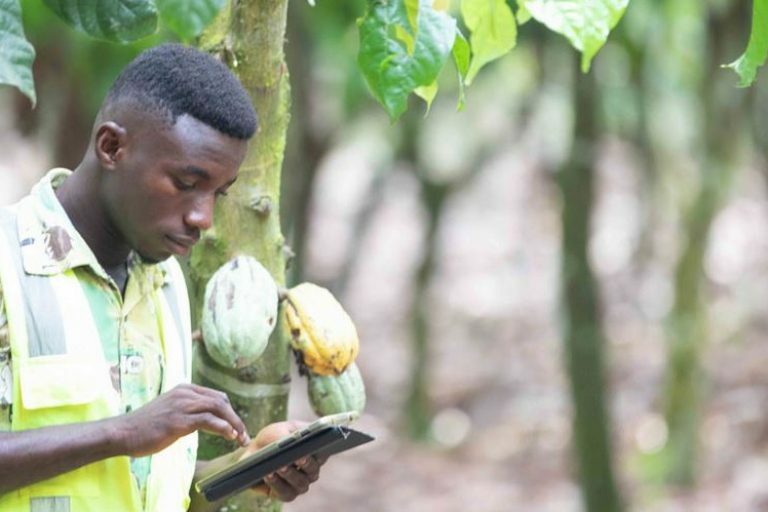 In addition to training farmers on Good Agricultural Practices to help improve their cocoa productivity and providing resources, the program works with NGOs to support forest mapping and monitoring. 2017: Mondelēz International and 11 other cocoa and chocolate companies, as well as governments, establish the Cocoa & Forests Initiative – a cooperative, multi-stakeholder framework to address deforestation and forest degradation in the cocoa supply chain. Together, we will create a joint action plan to fight deforestation in Ghana and Côte d’Ivoire. 2017: Cocoa Life signs a memorandum with the Ministry of Environment in Côte d’Ivoire to support the country’s bold ambition to reach zero deforestation in cocoa (part of the REDD+ program, supported by the World Bank). 2018: The Forestry Commission of Ghana, Ghana Cocoa Board, UNDP and Cocoa Life sign a memorandum to reduce emissions in the cocoa supply chain across Ghana through the Ghana Cocoa Forest REDD+ Program. *Source: The Forestry Commission of Ghana (June 2017). Ghana Cocoa Forest REDD+ Programme (GCFRP): Towards Deforestation-Free Cocoa Production in Ghana [PowerPoint Slides]. 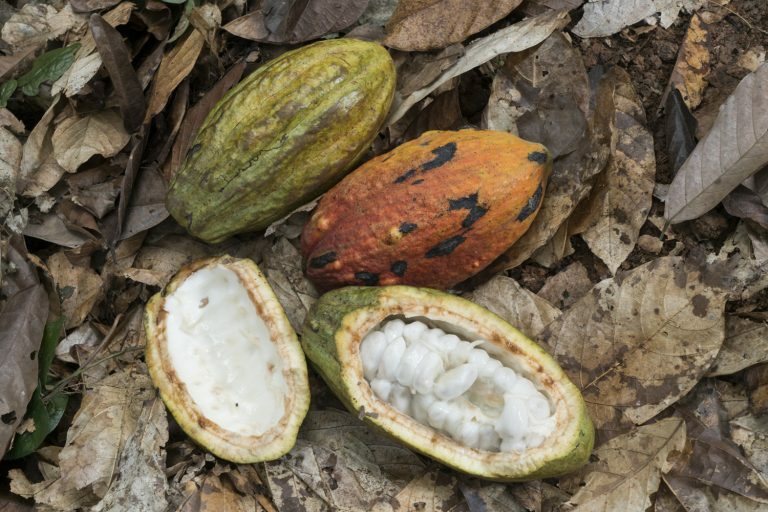 Retrieved from: https://www.idhsustainabletrade.com/uploaded/2017/06/GCFRP_1RT-Cocoa-and-Forests-Initiative.pdf. As Cocoa Life’s Global Operations Manager, Cédric is leading the holistic program roll out across six origins: Ghana, Côte d’Ivoire, Indonesia, Dominican Republic, India and Brazil. He is the leading force behind the Cocoa Life Operations Guide and supervises its implementation. Environment being one of Cocoa Life’s key areas of focus, Cédric is also driving the program’s environment strategy with a strong emphasis on deforestation and climate change resilience. Finally, he ensures we have the right partnerships in place to source the Cocoa Life volume required by our brands. 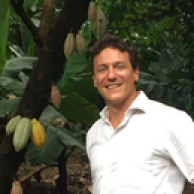 Prior to joining Mondelēz International, Cédric was Director for Sustainable Cocoa at Ecom. He also gained significant experience in Switzerland trading traceable cocoa, and earlier as Managing Director in Nigeria setting up and managing Ecom’s operations for close to four years. Cédric has lived in Nigeria, Switzerland, Côte d’Ivoire and is now located in Belgium. He holds a master’s degree in Business from the University of ICHEC in Brussels.